Odyssey is a private membership for our clients incorporating all three of our private client teams: Wills, estates, trusts and tax, family law and residential property. As solicitors, we have teams of experienced lawyers who will be on hand to provide expert advice at any stage in your life – whether it is buying your first home, having relationship issues, or experiencing death within the family. Think of it as everything from birth to death and everything in between. The purpose of Odyssey is for our private client solicitor teams to have a relationship with our members. We work with clients in Suffolk, Norfolk and other areas of East Anglia and provide you with free, up to date information by way of newsletters, fact sheets and seminars as well as contacting you through the year to make you aware of events that we may be hosting. We will send our members quarterly newsletters with interesting articles and useful information from our teams, running alongside provision of information from guest writers such as Independent Financial Advisers and accountants. Each quarter we will advise you of any preferential offers that we may be running for members. You will have access to fact sheets on useful topics and the opportunity to sign up for seminars or attend our hospitality events. There is additional information available, to members only, on topics which you may find helpful to access. Laura studied at Homerton College Cambridge, before retraining for the law at Anglia Ruskin University where she gained a distinction on the Legal Practice Course. She qualified as a Solicitor in 2009 having trained with a local firm where she worked until joining Prettys Estates department in October 2016. Laura advises individuals on Wills, Lasting Powers of Attorney and Inheritance Tax planning as well as dealing with the administration of estates and trusts. She offers her clients a practical and sympathetic approach. Advising on a drafting Wills including Life Interest Trusts and Discretionary Trusts, particularly in relation to care fee planning. Advising on approaches to Inheritance Tax planning. Advising on the administration of a farming estate including claims for Agricultural Relief and liaising with accountants in respect of the estate property and partnership assets. 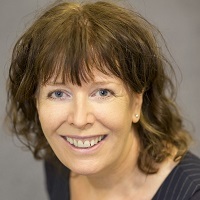 Penny is an Associate Member of the Chartered Institute of Legal Executives (CILEX) and worked in the local area for 8 years before joining the Residential Property Department at Prettys in 2005. Having worked in Conveyancing for many years, Penny has forged close links with local agents and businesses; in particular she has considerable experience dealing with new developments. transferring properties following a divorce.